In its 47 years of operation, Chevy Chase Junior College had just two owners. Dr. and Mrs. Samuel Barker, the founders, owned the school from 1903 until 1917, when they sold it to Dr. Frederic Farrington and his wife Isabelle Scudder Farrington. The Farringtons, and members of Mrs. Farrington's family, owned the school until it was sold to the National 4-H Foundation in 1950. Dr. Farrington died unexpectedly in 1930, but the school continued to operate under Mrs. Farrington's guidance, assisted by members of the Scudder family who were well-known for their generations of missionary work in India. 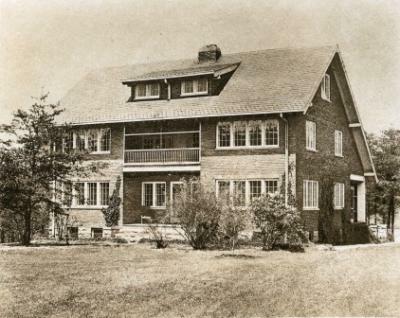 In 1940, Isabelle Scudder Farrington bequeathed a 13/15 share in the Chevy Chase School to the Scudder Association, Inc. The Scudder Association pledged to establish the Isabelle Scudder Farrington Endowment to be used for the Association to defray expenses of administration and of assembly; to assist in the education of members of the family; and to aid in the maintenance and development of the Scudder Memorial Hospital, Ranipet, India, and of the Women's Medical College, Vellore, India. Her family had established these medical facilities in the early 20th century. Click HERE for more information about the Scudder Association, Inc. and their philanthropic work. 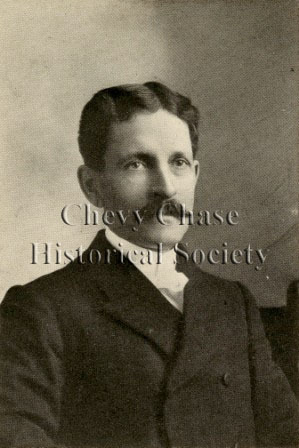 Academic leadership at Chevy Chase began with the Barkers, followed by the Farringtons, and continued with the six men and women appointed by Mrs. Farrington and her family to the position of President after Dr. Farrington's death in 1930. Each of the leaders of Chevy Chase brought their own vision of success for the school. They all had advanced degrees, and many had doctorates in education. All had a wealth of experience as educators, and several were regarded as leaders in the specific field of junior college education. As administrators, they not only set the academic curriculum, but they managed the finances of the school and promoted it through official school publications as well as through their own community and professional service. They oversaw changes in school policies that would reflect broader social changes concerning the proper roles and activities of young women. They managed a growing faculty and large staff to help realize their visions. But like the administrators of other local colleges, the uncertainties of World Wars I and II, the Great Depression, and the postwar years leading to the Cold War period would prove particularly challenging. Click on the following pages to read brief biographies. Samuel N. Barker and his wife purchased the former Chevy Chase Inn and surrounding property on Connecticut Avenue in 1903. After renovating the main building, the Barkers opened Chevy Chase College as a private school for girls and young women. Barker and his wife had previously lived in Bristol, Virginia where he was the president of Sullins College, a Methodist school for girls. Marketing the new school with testimonials and references about his leadership at Sullins College, Barker applied what he learned there to the governance of his new school. Although there were just six girls in the graduating class of 1906, twenty-three girls graduated from the school two years later. After 1909, the school was called Chevy Chase College and Seminary in catalogues and other materials, reflecting both the high school and junior college programs. As described in the catalogues, the Barkers felt strongly that their students should partake in the beautiful suburban location of the school, and they encouraged girls to spend much of their time outside. Their curriculum focused on providing students with the opportunities for refinement and training them for their future social duties as members of the middle and upper classes. They did away with stressful academic examinations, and depended on the skills of their teaching staff to insure that students completed their coursework. In keeping with the “finishing school” component of the curriculum, Chevy Chase students participated in a variety of social events, including receptions and dinner parties where they practiced their social skills. 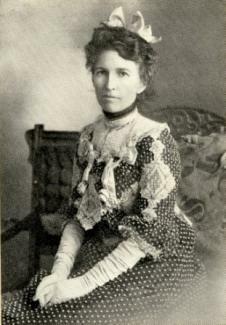 Mrs. Barker arranged dances and teas, inviting only suitable young men, and assuring the parents of Chevy Chase students that such events were properly chaperoned.